Circus Tent - הירשל ציג'ס בלאג: New from R. Chaim Dalfin! We guarantee you won't put it down or we'll send you a free Tanya! Does he bring the mayse with shor shenagach es hapara and Rav Yoshe Ber? Was he able to track down Rav Yoshe Ber's pseudonymous article? i dont understand if its a good book then it should never have been published and if its not a good book why publish it? how about you muzaka deim olam for pesach, with fresh dip b'tam חרסות or bedikas chumatz set with real feathers, triangle cut matzohs b'tam pizza.. btw I'm glad to hear the story of shor shenogach got updated. What factual errors has Dalfin uncovered? And has he found the Rav Yoshe Ber article? My guess - Dalfin probably lifted lots of material from Tzig, a number of years back on this blog, regarding Hakria vehakedusha and Segal etc. He also lifted some material for his book the Rav and the Rebbe from this blog. FYI: From among the very first 19 talmidim of Hagaon R' Aharon ZT"L in Lakewood, One himself became a Lubavitcher (then left) and the sons of another two are presently Lubavitchers as well. WADR, dalfin is a lone ranger, writes books about controversial issues without any oversight, and IMHO it's not even good for biyur chametz. the Rebbe put a big X across the letter and wrote two words "gilui arayus" on top. this story is not in CD's whitewash. now this new book, if he writes the full truth is stam marbeh macholokes b'yisroel for no toi'eles. if he makes everything nice and kumbaya, why can't we all get along... then he's full of ... and it's stam shakrunus. After the shangchai parsha, the FR told the polish bochurim to keep it quiet, not to write about it, although he sent them a letter with some real sharp language about vaad hatzalah, he still told them not to be mefarsem what really happened. CD is definitely not the one to write such a book, and some thing are just better not said. writing about the 30,000 Flatbush types, descending on Miami Beach for for 8 days Pesach on the beach, having a "master of ceremonies" doing his Pesach shtick..while the olem indulges in "whatever" and complaining the Jewish tuition is to high! Does he write about the rebbeh convincing Shlomo Carlbach to leave Lakewood and the regret Carlbach expressed over taking that advice at the end of his life? To a vacant, humble head, the world is vast, mystical, and open. Chaim Dalfin is a chabad historion. Oxymoron. Didn't he write about that one time RJBS attended a farbie, as a momumental historic moment (I paraphrase)? Also, the fact that many a Chabad-person needs to believe terrible slander on Reb Ahron, does not reflect well on the movement's confidence. Hence the need for the overall regurgitation of hate speach at Chabad gatherings. It is all consistent. It is understandable that there were chulekay dayos about allocation of funds in Shanghay. It is really a halachik question about preference in tzedaka and pekuach nefashos, in which preference is given to the bigger lamdan, as is codified in Rambam and Shulchun Aruch. It is not surprising that some learned the relevant sugyos and came out differently than the Vaad Hatzala, that is the way of learning. Btw, does anyone know of Rabbinic criticm to the extensive rescue work of Chabad? This is the first time I ever heard anything about extensive rescue work of Chabad. Joe Shmo Friday, March 16, 12:17:00 PM "descending on Miami Beach for for 8 days Pesach on the beach"
"terrible slander on Reb Ahron". does thst include the death of two bochurim? or is that just "slander" from the survivrs? and what about Amshinov? Oh, you mean the two bochurim who were sick back in Europe? Those two bochurim. Why is anyone responsible for that? Other than the same old מלאך המות as usual. I am not a shrink. I do not know what you dirt you have to believe in order to dispel insecurities and overall negative feelings about Reb Ahron (and others) feelings opinions about Chabad. Obviously, there is an emotional need. The greater the person with negative opinion (and more legitimate the opinion) the larger the necessity to discount same via even more egregious slander. Simply put, if you are truly in your heart of hearts "mivatel" Reb Ahron, you would not strongly react to his opinions. The fact that murder accusations are necessary (and are viewed as the holy grail by many a Chossid of even high school age) is transparent. If you do not understand what I am saying, go speak to your Mashpiya. I read the book. I'll limit my comments and criticsm to one.He strongly implies that the Vaad Hatzolah was wrong for printing Gemoras so those learning in Mir in Shanghai could have seferim to learn from. Yet he praises Chabad for printing Tanyas and Likutey Dibburim in Shanghai. Mah Nishtonah? The book very clearly says (page 143): In 5702 (1942), the students distributed copies of Tanya that were printed in Shanghai. So no it wasn't after the war. It also says (ibid) that many different donations were given to maintain the printing operations . If it's really true that two Lubavitcher Bochrim died of starvation then apparently they felt printing Tanyas etc. was more important than those Bochurim's lives. I only picked on the above point because even as a neutral reader with no prior knowledge of the issues it would have been jarring. As someone who is familiar witt h the issue I would like to make a different point now. Frequently when reading the book I got the sense that either (1)there is more to the story or more importantly(2) Rabbi Dalfin can't possibly realize how this is looked at by an opponent of Chabad. The book primarily has an anecdotal focus. 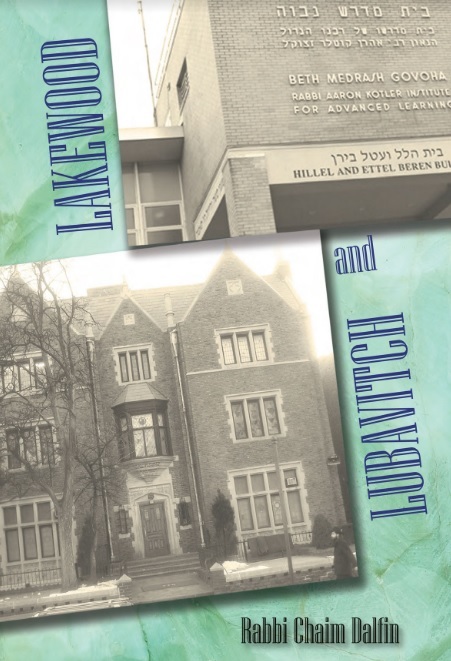 If someone is looking to understand the ideological issues that Lakewood and other opponents of Chabad have with it they will have to go through something like " Al H'Torah V'al H'Temurah" or "Im Nosi Yechta" to understand. I would love to see the Chabad point by point response to those two books. You misrepresent what I wrote regarding those two bochurim. I never said they died bc money was not given to chabad yeshiva students rather that the fact money was allocated by the donor for all yeshiva students no one had a right to exclude chabad students. Dont take my words out of context. Please explain that distinction about "Chabad using their own funds"? Does that mean that those funds for Tanya should not have been used for saving lives? Also, "Vaad Hatzala money" was raised by Chabad people? Or was it spearheaded by R. Kalmonovitz? Whose idea was it to go to Shanghay and who got the visas for the buchorim, including the Lubavitchers?